TerraPerforma is the last stage of the Open Thesis Fabrication program in 2016-2017. 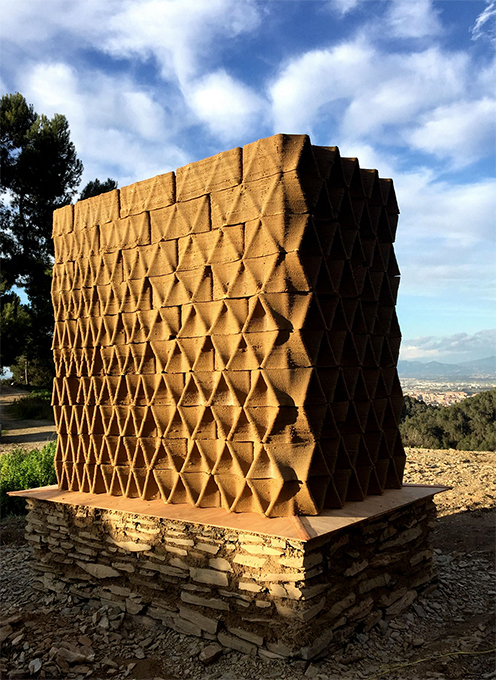 The project focuses on large scale 3D printing and the influence of additive manufacturing on building with a traditional material – unfired clay. However, the biggest aim of the project was to build a construction with climatic performative design. 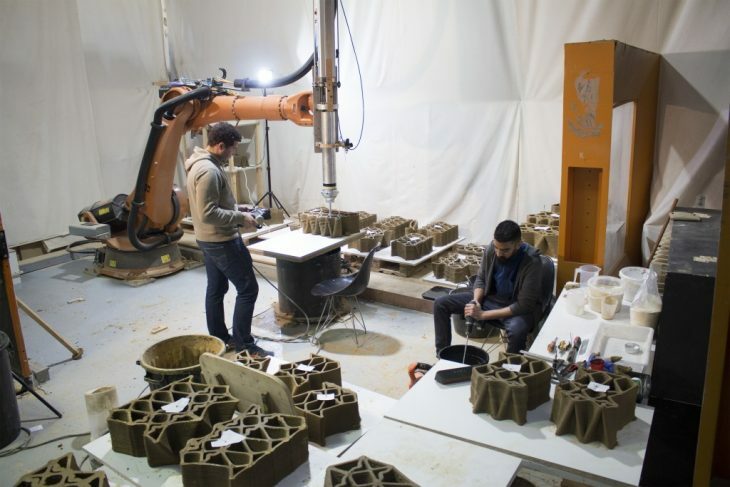 The project combines 3 various postures of 3D Printing – Robotic fabrication, On-Site Printing and Printing with Clay, examples of which have been studied while developing the TerraPerforma Project. 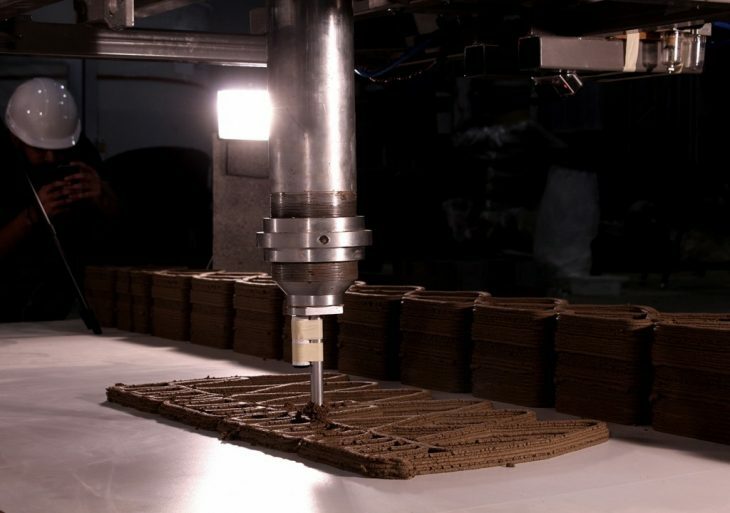 While 3D printing has given the possilibity to create complex geometries, the intelligence of the design comes from the optimization strategies, the creation of performative shapes becoming easier to achieve. TerraPerforma was a series of optimizing the continuously discovered parameters. The development of the project started by researching climatic phenomena and material behavior. 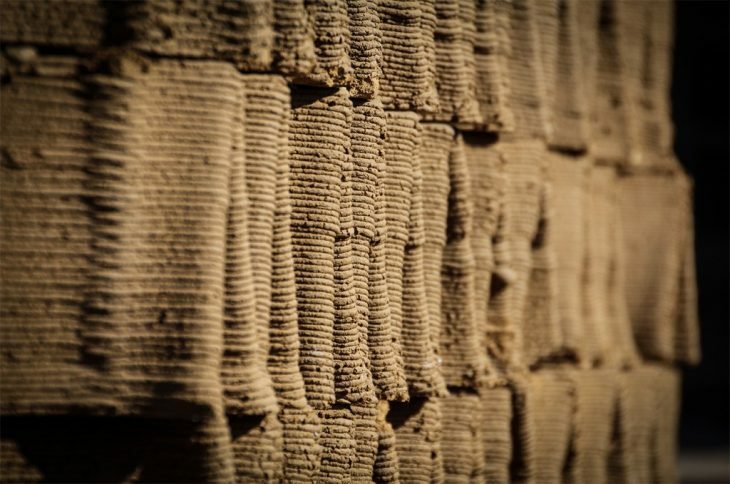 Therefore, a series of physical tests and digital simulations was done for prototypes of walls testing Solar Radiation, Daylight, Thermal Conductivity, Thermal Convection, Thermal Mass and Structural Behavior. Software such as RHINO CFD, Ladybug, Karamba was used in order to simulate wind, sun and structural behavior. The team also developed a series of machines, such as the Hygrothermal Monitoring Apparatus and the Load Machine in order to further develop their studies, as well as doing a light visualization exercise by recreating sun path with the help of the robot. The team also had the opportunity to work within Tecnalia, experimenting with the CoGiro Cable Bot.Cogiro is a CDPR owned by Tecnalia and LIRMM-CNRS. Its original point of design resides in the way the cables are connected to the frame, called the confi guration of the CDPR, which makes is a very stable design, hence the team was able to develop the biggest monolithic piece done within the research. For the final stage of TerraPerforma, it was concluded that a modular approach would be best. The modules are parametrically conceived so that they have optimum performance depending on solar radiation, wind behavior and structural 3D printing reasoning, both by their own and as a whole design. The façade was conceived as a gradient in both horizontal and vertical directions, having various radiuses of self-shading, in order to optimize east and west sun. Additionally, the modules are designed to incorporate various types of openings, in order to maximize the natural daylight potential – the openings are strategically placed and vary from micro openings to full openings between bricks are light channels.The same channels are also designed to aid wind behavior through convection properties, as well as the placement of the microperforation which would direct air flow.